A dedicated server is a single web server within a network of computers, dedicated exclusively to one client. This means that you will not have to share any resources, as you have exclusive rights to bandwidth, memory, and storage space. These dedicated servers are able to easily manage your website's traffic, multiple domains, images with high resolution, and videos. In addition, businesses are allowed to customize the hardware setup and the software to meet the exact needs of their business. It is ideal solution for larger size websites that have a lot of traffic. Data access is faster and high traffic is easily accommodated. Personal websites or very small businesses generally do not require a dedicated server and clients can save money by leasing space from a standard web hosting plan. This is also an ideal solution for a business that wants a dedicated server for fast access, customer service, and customization, but they don't require all of the physical space. In other words, you can become a web host reseller by sub-leasing extra space to others to set up their own websites and domains. Warning! With dedicated hosting you have to know all the exact hosting requirements of your websites before signing up for a hosting package. If you get this wrong, it can mean a complete loss instead of profit. At Everdata Technologies we ensure the best up-time and unparalleled high-performance with our Dell Power Edge servers. We offer a wide list of managed services like; firewalls, antivirus, intrusion prevention, data encryption, O/S updates, managed backups of your valuable data, and much more. 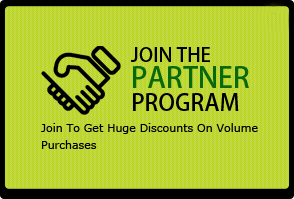 In addition, our knowledgeable team of experts is here to help 24x7x365 for any sales or technical related support. Everdata Technologies dedicated server packages are designed to be very economical, so that they are affordable for any business. It allows you to get a server solution to meet your exact business requirements, while maintaining your budget. 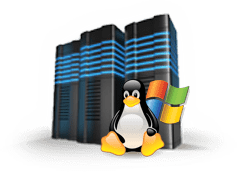 Everdata Technologies gives you the option between Linux and Windows because every website has its functionality and applications that work better with different operating systems. Your website's loading speed is critical because a faster loading speed provides a better experience for users. This means that your users can consistently access your website anytime with speed and ease of access. Everdata Technologies ensures this with 24x7x365 support and 99.9% uptime. 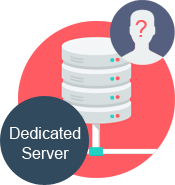 Hosting a dedicated server with Everdata Technologies means that your servers will be located in a highly secure and completely organized data center. We provide favorable conditions for your servers so that they run at their maximum performance, while under protected surveillance. Our dedicated servers differentiate themselves from others in terms of performance, support services, choice of operating systems, scalability and several other features.